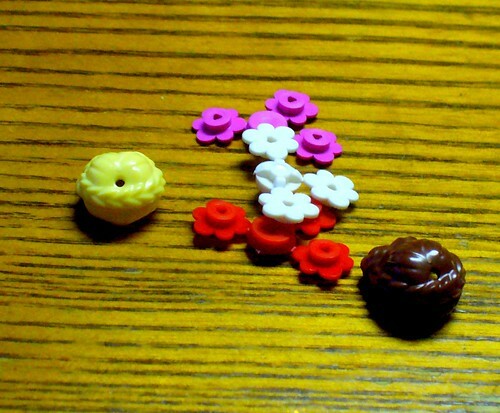 Now at $10 for the set, its a little pricey for the part count — 40 ¢ a piece. 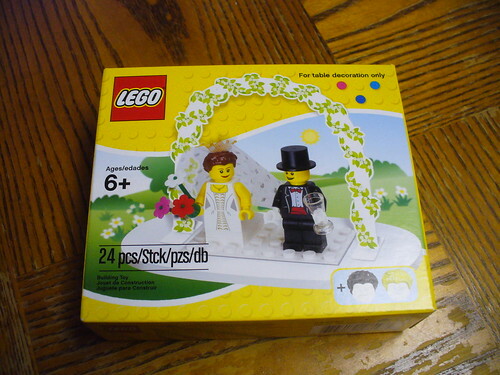 But for those looking for a minifig bride and groom, that is exactly what you get. There isn’t much to the set, but here’s what you get. 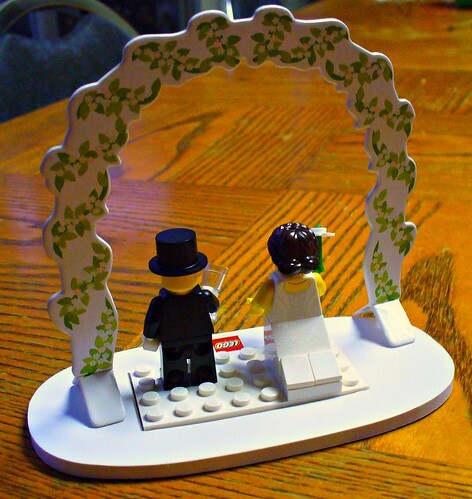 I was actually surprised that they included the paper flower arch. I thought it was just a drawing on the box. 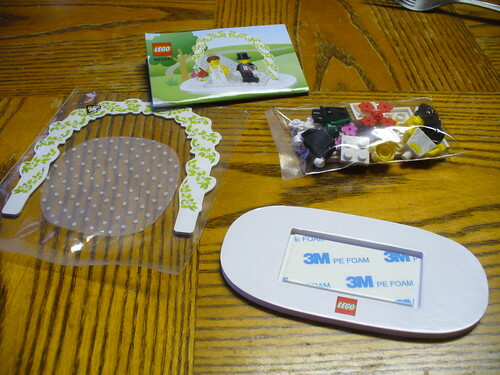 I would have rather had a LEGO one though. The fabric veil is a little tricky to put in, but it works okay. The dress torso also has back printing, but unfortunately my picture isn’t the best. I’ll try and take a better one soon. There is one upside, they include three different colors of the hair — the blond color appears for the first and only (so far) time in this set. They are pretty cute. I forgot to look at the price, sorry about that. 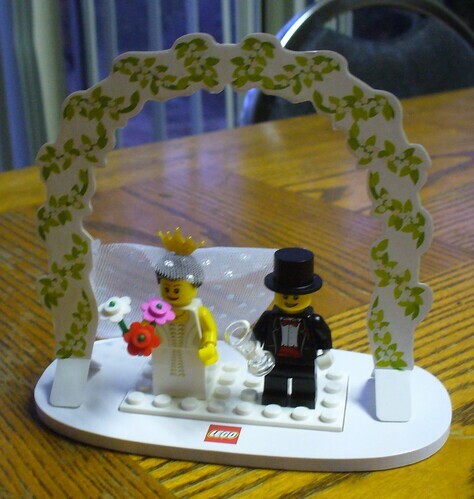 So, my guess is that if the Bride and Groom set is showing up at LEGOLAND it will start showing up at all LEGO stores soon. 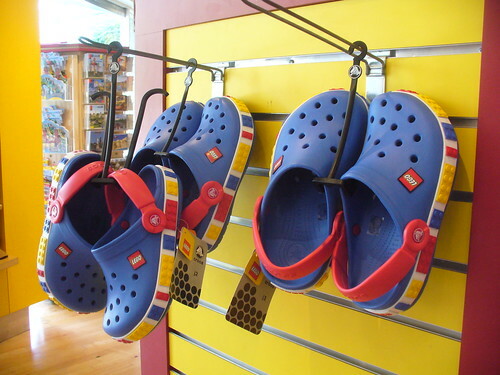 As for the Crocs shoes, who knows.